Timothy Salahi | Rockwall Rocks! After noticing over 100 search requests on WordPress blogs for “Salahi” earlier this week, I learned yesterday from Rockwall County Criminal District Attorney Kenda Culpepper that Timothy Salahi was released from a state jail Sept. 4, 2009. Salahi, 20, had been sentenced May 13 ,2009, to six months in a state jail after he pleaded guilty to a negligent homicide charge for giving cheese heroin to 16-year-old high school student Paige Elliott. He was released in September, Culpepper said, because he was given credit for time served in jail before being sentenced. After Salahi gave her the drugs, Elliott died at Salahi’s home in September, 2007, from an overdose of what authorities said was a mixture of the cheese, “ecstasy,” Xanax, cocaine and marijuana. Salahi could still face more jail time. 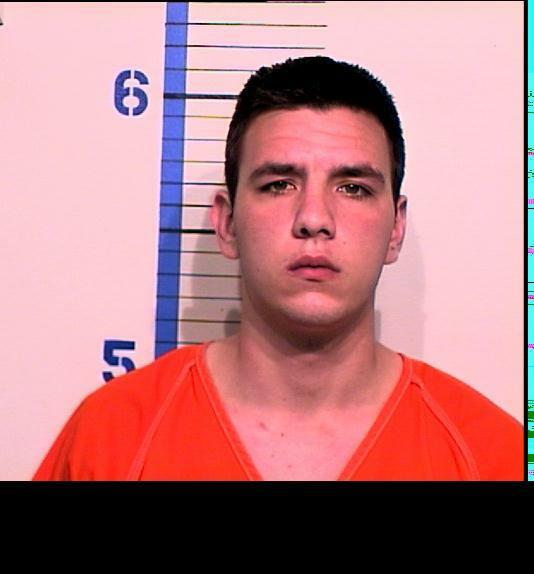 He was arrested by Rockwall police March 11, 2009, after being accused of slapping his sister in the face. The charge was increased to third-degree felony family violence assault because he had a prior misdemeanor family violence arrest. He could receive up to 10 years in prison. Culpepper said that the case is still pending. We’re trying to contact Salahi or Paige’s mother Dawn Elliott for additional comments about his release. If anyone can help us to reach them, we’d appreciate your help. The original reason for the blog search for “Salahi,” incidentally, was because that is the last name of the couple who allegedly crashed a White House party earlier this week. The trial date for the young Rockwall man who has pleaded guilty to criminally negligent homicide in the “cheese” related death of 16-year-old Rockwall-Heath high school student Paige Elliot has been set for May 11 by 382nd District Judge Bret Hall in Rockwall. Timothy Salahi was 18 at the time of her death, Sept. 16, 2007. Both families had agreed to a two-year probation plea bargain Feb. 17, which would have allowed Salahi to avoid jail time, but it was rejected by Judge Hall citing that he had a responsibility to the public. The charge is a state jail felony, with a maximum penalty of two years in state jail and the possibility of a $1,500 fine. Salahi is currently free on bond as he awaits the trial. Neither family will comment on the case. Only two years in jail for Salahi for providing “cheese” heroin which killed Paige Elliot? Rockwall High School sophomore Paige Elliot’s death in 2007, due to an overdose of cheese heroin, was a terrible tragedy. But it seems another one is that 19-year-old Timothy Salahi will only have to spend two years or less in jail and pay a fine as punishment for furnishing the drug. True, she did choose to take the cheese, Xanax, marijuana, cocaine and Ecstacy found in her body during the autopsy. But she was only a 16-year-old kid, who just three years before had suffered the breakup of her family due to divorce. Consequently, this young lady was not healthy emotionally, and Salahi – although young himself – certainly knew better. It seems to me that Salahi preyed on her, taking advantage of her weaknesses. If we truly want to send a message to drug dealers, and want to stop the distribution of cheese, shouldn’ t we adults figure out a way to punish drug dealers with more than two years in jail? He’ll likely not even serve that long and be back on the streets. Somebody needs to make sure Salahi never touches drugs again. Wonder if he has any younger brothers and sisters whom he’s influenced? What do his parents have to say? The whole story obviously still hasn’t been told, but clearly needs to be. Nineteen-year-old Timothy Salahi from Rockwall plead guilty yesterday to criminally negligent homicide in the “cheese” heroin overdose death of 16-year-old Rockwall High School student Paige Elliot in 2007. Salahi entered his plea in the Rockwall felony court of District Judge Brett Hall at the County Courthouse. The charge against Salahi is a state jail felony punishable by six months to two years imprisonment and a fine of up to $10,000. According to police, Salahi bought cheese heroin and Xanax for Elliot in September 2007, and the pair went to his house in the 1400 block of Greenbrook Drive in Rockwall. Salahi later found the girl unconscious on his sofa. She was pronounced dead at Lake Pointe Medical Center. Toxicology tests revealed a fatal cocktail of cheese heroin, Ecstasy, Xanax, cocaine and marijuana in her system. Judge Hall ordered a pre-sentencing investigation and scheduled sentencing for Feb. 17. Victim impact statements may be heard at that time.